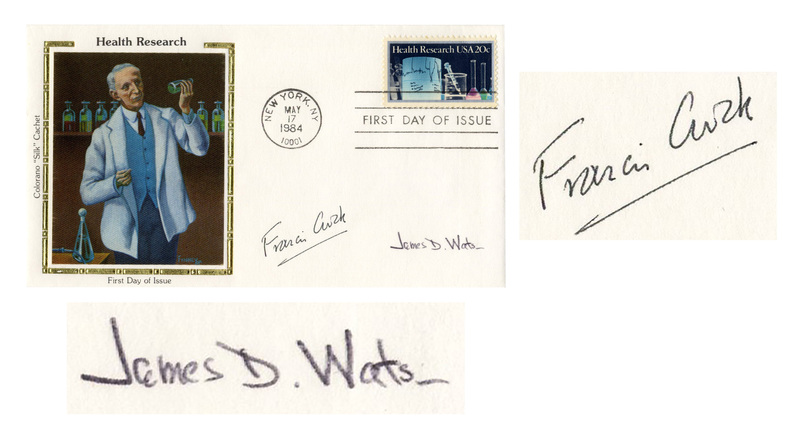 Nobel Prize winning scientists, James Watson and Francis Crick signed first day cover honoring ''Health Research'', rare as signed by both DNA discoverers: ''James D. Watson'' and ''Francis Crick''. 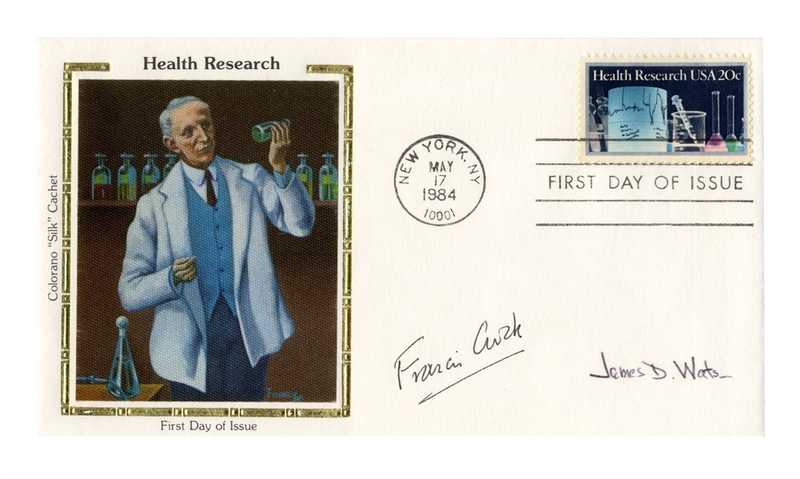 Cover promoting Health Research has the Colorano Silk Cachet, postmarked New York, 17 May 1984. Measures 6.5'' x 3.5''. Near fine condition.